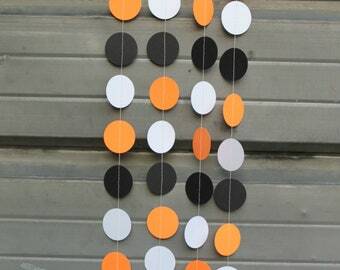 Polka Dot garland made from varying sizes of dots and types of paper. Finished garland is 10 feet long. Made from paper (not card stock), recycled and recyclable. Dear US customers - I ship from Canada, please allow 2 weeks (minimum) to arrive. Thank you! 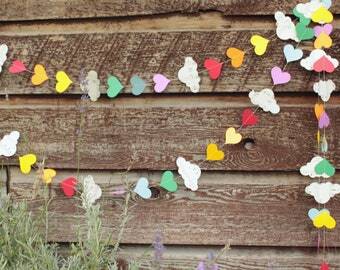 This fun garland is so versatile! 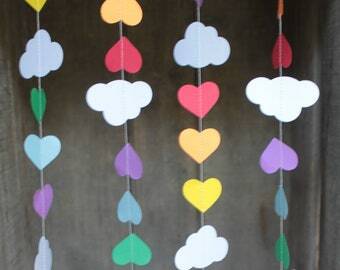 You can use it for birthday parties, baby showers, gender reveals, or just to brighten up a child's bedroom. You choose blue or pink! 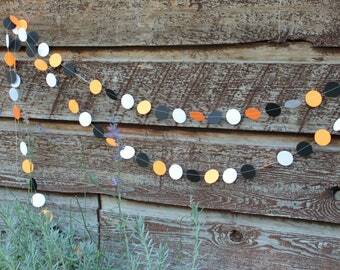 This garland is made from vintage book pages and blue dots cut from recycled scrapbooking papers. 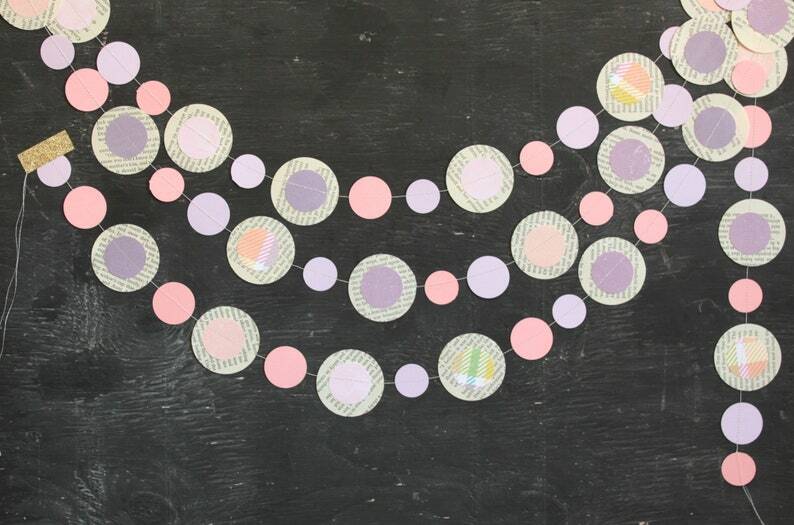 The dots are 1 inch, 1.25 inches and 2 inches. They are picked randomly so no 2 garlands are exactly alike. 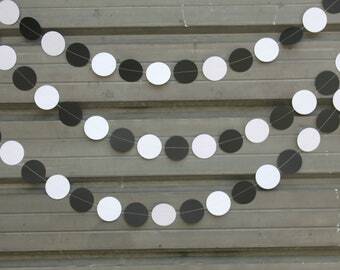 These circles have been run through my sewing machine. There is enough thread at the end of each garland to tie to something to hang, or to tie the garlands together to make one extra long chain. 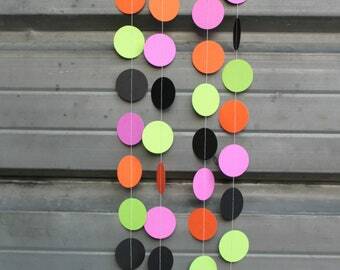 Need a different party garland?